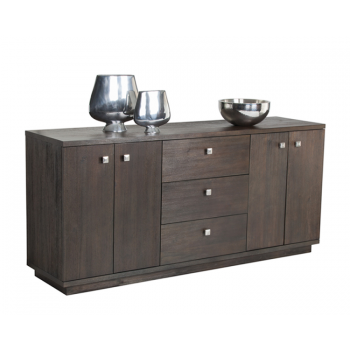 This substantial sideboard is made from acacia wood veneer in a gotham grey finish. Three drawers and two cabinets provide ample storage. Finished with contemporary steel hardware.